It’s an honor to care for aging parents! No one really wants to grow old as old age presents you with numerous miserable conditions; invariably it brings you loneliness and a feeling of not being worthy anymore. Emma’s mom, Mrs. Deborah Smith, has been living with diabetes for the best part of 15 years now. Emma is a working professional and she travels a lot. 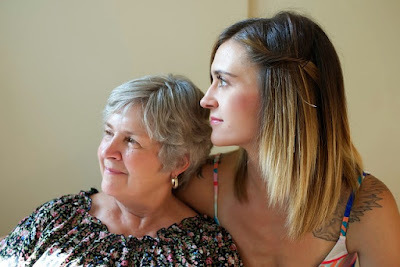 She barely gets to meet her mom these days due to her busy work schedule, but she somehow stays in touch with her and struggles to keep tabs on her mom’s health condition. She turned to an in-home care facility for assistance who provide caregivers for people like Deborah. Now, Kathy Coleman, Deborah’s caregiver visits Deborah at least 3 times a week as she needs constant assistance with her medical care. Unfortunately, Kathy is having to move around quite a lot as she needs to take care of other residents who are scattered in different locales. And she often misses her scheduled appointments with the residents; as a result, the quality of care suffers. Older adult care will continue to be a challenge! The adoption of technology in healthcare system has been found lacking in the area where Kathy works. According to the AmericanHospital Association, as many as 10,000 baby boomers approach their retirement age each passing day and 30 million boomers will be managing more than one chronic health condition by 2030. The older adult care will continue to be a challenge in the years to come. Lack of adequate means to stay connected with their caregiver in her area might make residents like Deborah suffer from the inevitable complications of the diseases they suffer from; 80% of the patients have poorly controlled blood glucose levels and 30-50% diabetics have uncontrolled blood pressure and cholesterol. Chronic diseases such as diabetes & hypertension are mostly preventable but can be deadly when left uncontrolled. The trigger - bad diet and lack of physical activity. The consequence - high blood pressure, heart disease, kidney disease, amputation of limbs, blindness to name a few. Like many caregivers, Kathy too was concerned about the state of facilities available to her. She knew technology could help her out with the situation she is in. She learned about an online platform that connects individuals who need home care assistance with workers who provide it. She explained the benefits of this solution to her authorities at the in-home care facility where she works who eventually decided to give it a try. Kathy needs to be empowered to make informed choices with information that is easily available, accessible, and actionable. In other words, a holistic solution with a smart design that brings together residents, caregivers, and the family member irrespective of the location they are in. A virtual space - where health parameters are logged/monitored/shared, consultation happens over the phone/video chat - allowing all the stakeholders (the resident – Deborah, the family member - Emma, and the caregiver - Kathy) to log, view, and manage their medical condition by tracking key parameters of health. The collected data can further get sliced, analyzed, and presented to the user as actionable steps that ultimately results in improved care prevention, overall wellness, and cost effectiveness. Today, you have more and more “digital natives” like Emma coming into the “sandwich generation,” where they are responsible for caring for both their children and their parents while they also try to balance the demands of their careers. All the more reason for them to look for solutions that offer convenience. 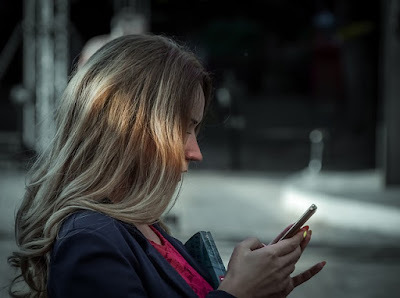 Now, Emma goes to attend her work assignments peacefully as she gets to see the updates on her mom’s health on her smartphone whenever she wants. Her mom, though confined to a wheelchair, doesn’t have to struggle to reach out to her daughter or her caregiver, she is able to do that with just a push of button on her IoT device. They communicate with each other through an app loaded on their smartphone. That’s what the Internet of Things (IoT) can do and it continues to make its smart presence in the world of consumer-facing applications. Voice control, the way to go? Voice interfaces allow its users to ask questions and receive answers through a natural dialogue. Maya, the voice control assistant in the MyCooey, simplifies routine health monitoring tasks with simple voice commands. It simplifies data flow, communication, device management, and the functionality of applications. It connects with machines, devices, applications, and people and enables fluid navigation and smooth transfer of information from one entity to another. Thus, Maya reiterates the fact that the utility of a voice assistant is only going to get better and better and set to solve many a puzzle in the future of healthcare ecosystem. 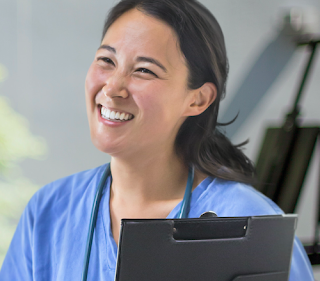 The degree of responsiveness, coordination and outreach can directly impact patient satisfaction and medical adherence, and you need engaging healthcare ecosystem to make that happen. MyCooey has demonstrated how one can leverage the best practices and enable better patient engagement, more effective communication and care coordination among the patient community and caregivers. Already, the results are there to see and it’s truly heartening to those whose lives have been enriched by this behavioral change. If technology enables significant transformations in how a business is operated or its services are delivered with a small behavioral adjustment, the benefits to its environment can be very large.